A care home in East Grinstead took residents and the local community on a ‘cruise’ around the Caribbean. 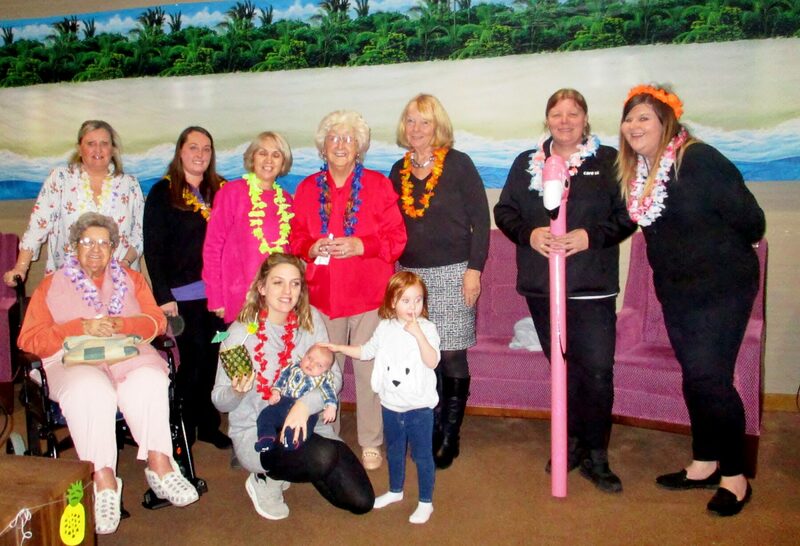 Care UK’s Mill View, on Sunnyside Close, opened its doors for a tropical-themed party, which was organised for Margaret Doolan, a resident at Mill View. Margaret, 85, was due to join her daughter on a cruise, but unforeseeable circumstances meant she had to stay on dry land. The team at Mill View decided to bring the Caribbean to her, and got busy organising a surprise tropical party. They displayed photos that were taken by Margaret’s family during the cruise on a big screen, as well as inviting several of her friends along for the special event. 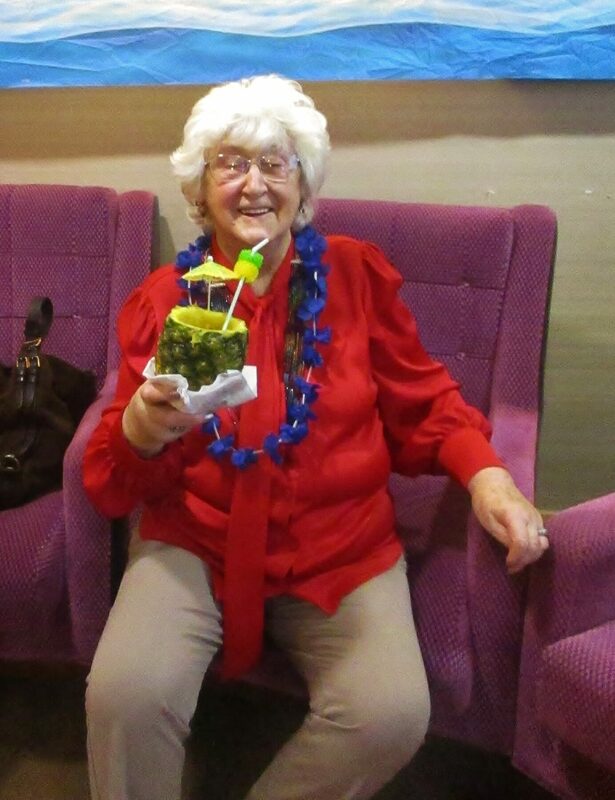 On the day, residents and visitors were adorned with flower garlands and enjoyed tropical treats, including fruit cocktails and a delicious pineapple and coconut upside down cake, specially prepared by Mill View’s head chef. Home manager at Mill View, Debbie Wheeler, said: “Here at Mill View, we always try and organise meaningful activities for residents as part of our activity-based care approach. Margaret was really excited about the cruise, so when she found out she couldn’t make it, we knew we had to do something to bring the Caribbean to her. Mill View has been designed to deliver the very best standards of care and to enable residents to live active and fulfilled lives. The home provides full-time residential, nursing and specialist dementia care, as well as short-term respite. To find out more about Mill View, please contact customer relations manager, Amy Batchelor, on 01342 887 940 or email amy.batchelor@careuk.com. For more general information visit careuk.com/mill-view.